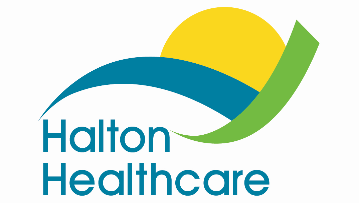 Halton Healthcare is an innovative, growing organization with three progressive community hospitals, providing quality health services to more than 350,000 Halton residents. Halton Healthcare is Accredited with Exemplary Standing by Accreditation Canada. The Department of Medicine at Oakville Trafalgar Memorial Hospital is actively recruiting two full-time Medical Oncologists. Oakville Trafalgar Memorial Hospital is a new state-of-the-art, 1.6 million sq. ft. full-service acute care community hospital located in Oakville, Ontario (30 minutes west of Toronto or 20 minutes east of Hamilton). We are planning to expand the scope and volume of services provided by our Cancer clinic with an enhanced medical oncology presence. The two medical oncologists will join our two established malignant hematologists to provide systemic therapy in our cancer clinic. The scope of practice will evolve over time but candidates should be qualified and skilled in treating breast and colorectal malignancies at the outset. There will also be the expectation of providing inpatient oncology consultation and after hours secondary call support to our Internal Medicine physicians. The successful candidate will promote and exemplify excellence in professional practice and conduct, be licensed or eligible for a license to practice in Ontario, certified in Internal Medicine by the Royal College of Physicians and Surgeons of Canada and have (or be eligible for) subspecialty certification in Medical Oncology. Halton Healthcare is affiliated with McMaster University and offers teaching opportunities. The successful candidates will also be closely aligned with the Mississauga Halton Central West Regional Cancer Program and will be expected to participate in regional Multidisciplinary Case Conferences and regional quality improvement initiatives. Excellent interpersonal skills and a commitment to team based and inter-professional care are essential. Remuneration will initially be on a fee for service basis with the expectation of clinical activity equivalent to that expected for a full time Medical Oncologist in Ontario. These positions will be eligible for conversion to the Provincial Oncology Alternate Funding Plan (AFP) based on established criteria for conversion. We thank all applicants for their submissions; however, only qualified candidates will be contacted to attend a pre-application interview. All appointments are subject to an impact analysis and Board approval.